The first thing you should know is that all the lines across the page are exactly the same shape. You can see that in the corners with the light and dark contrasting backgrounds. 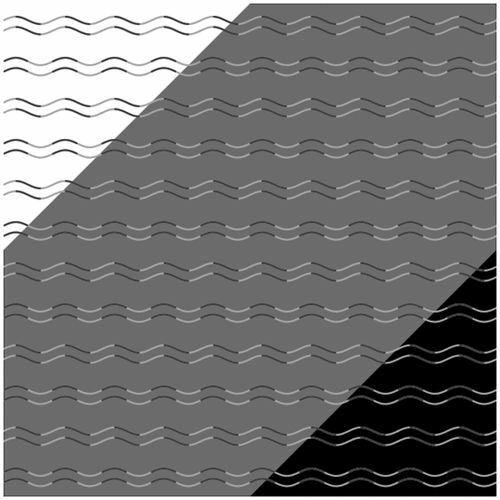 But in the gray background, some seem to be curvier, while others seem to be more angular. That's because of how the colors (actually shades of gray) of the lines are segmented. More info at the academic paper.